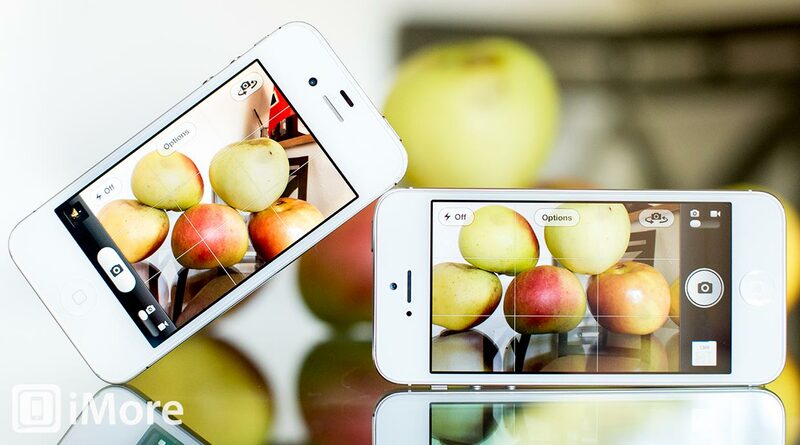 One of the anticipated features of the iPhone 5 was its new camera. 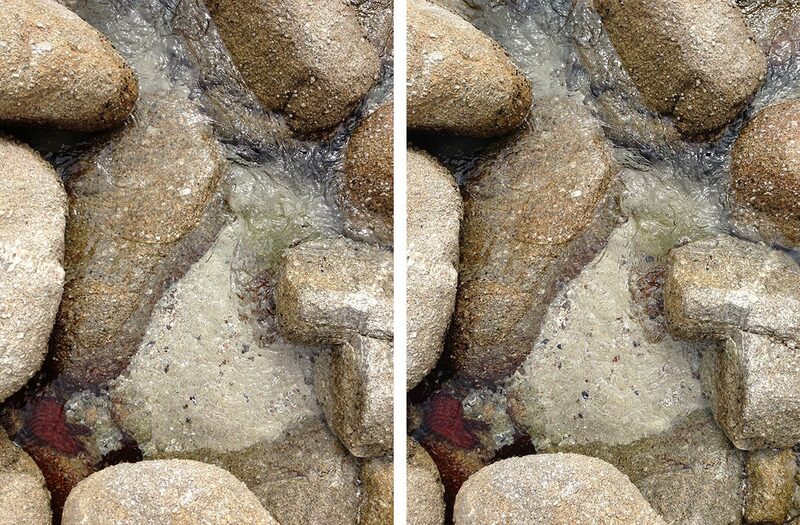 Now, even though Apple didn't boast too much about how much better the camera is, they did say it has a new sensor with better HDR and low-light capabilities. They also managed to cram all of that glass into a body that's 18% thinner than the previous iPhone. Lenses like depth, so getting even the same quality out of a camera 18% thinner is an impressive feat of engineering. Despite all this, many people, myself included, were still expecting noticeable improvements to the iPhone 5's camera and in my review of the iPhone 5's camera, I repeatedly mentioned that the colors and vibrancy of the photos were a huge improvement over the iPhone 4S -- but was I right? If you follow my iPhone photography column, you know I take a lot of photos with my iPhone. A lot. 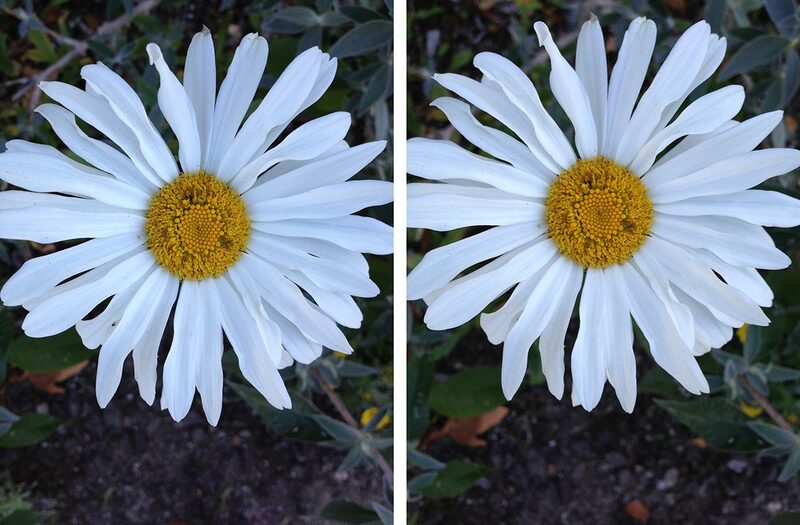 When I was performing my tests by taking identical photos with the iPhone 5 and iPhone 4S, I was consistently wowed by the improvements of the iPhone 5 over the iPhone 4S. Occasionally, I'd take photos that didn't have much of a difference, but for the most part, the iPhone 5 blew the iPhone 4S out of the water. Then I started preparing this article. Photo after photo proved me wrong. 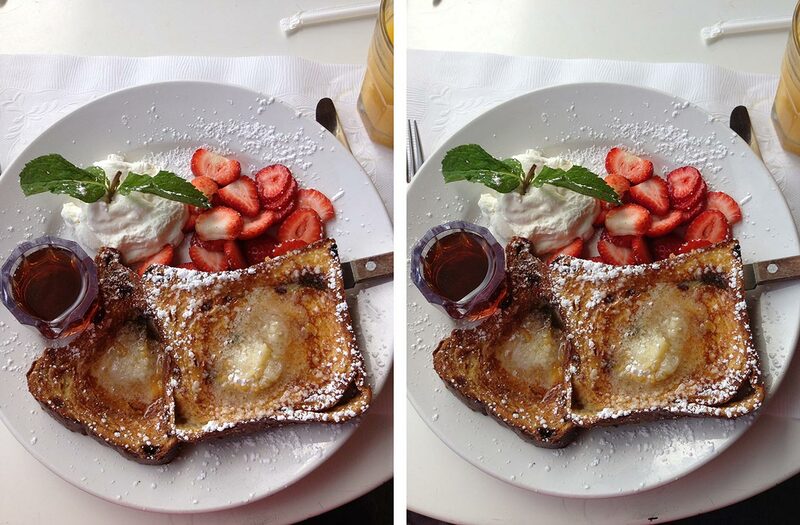 Sure, there are differences between the iPhone 5 and iPhone 4S photos, but very minor differences. 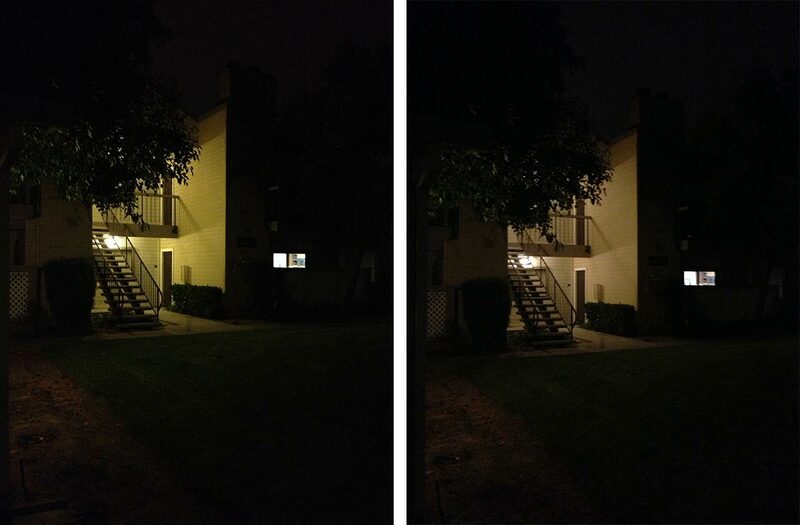 Do the iPhone 5 photos have better color? Yes. 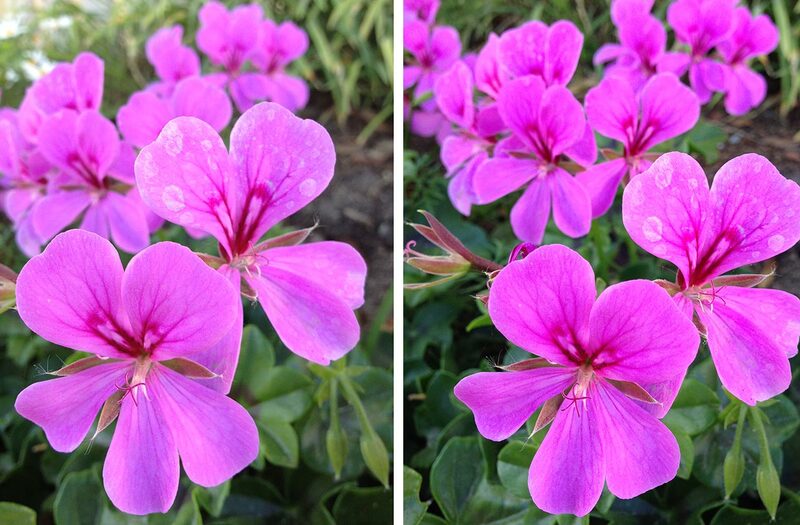 Are the iPhone 5 photos more vibrant? Yes. 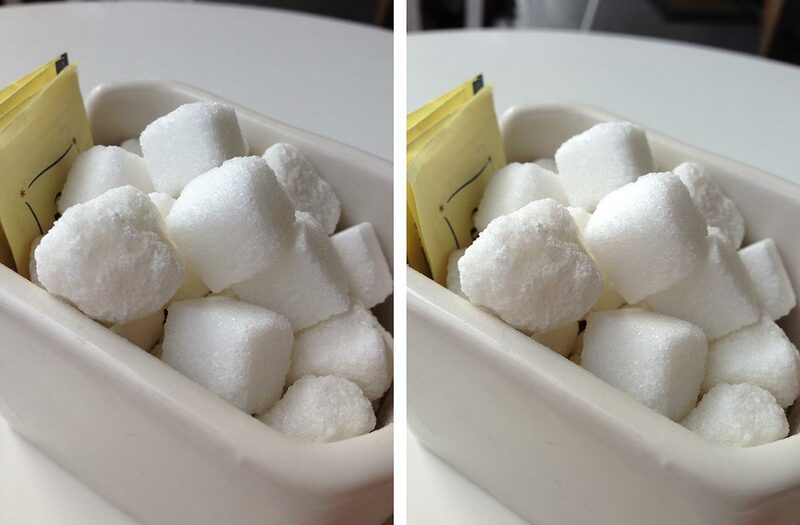 Will the average untrained eye be able to tell the difference if shown the photos immediately after each other but not side-by-side? No. 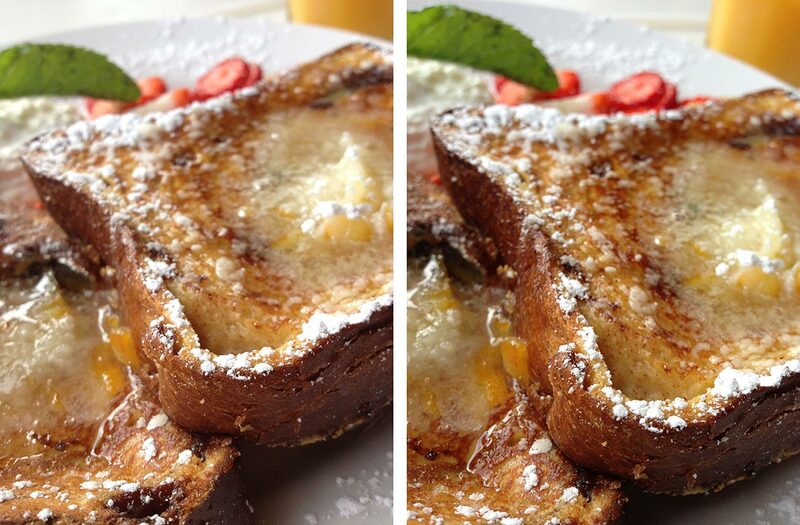 In fact, many people may not even be able to tell the difference between photos that are side-by-side. 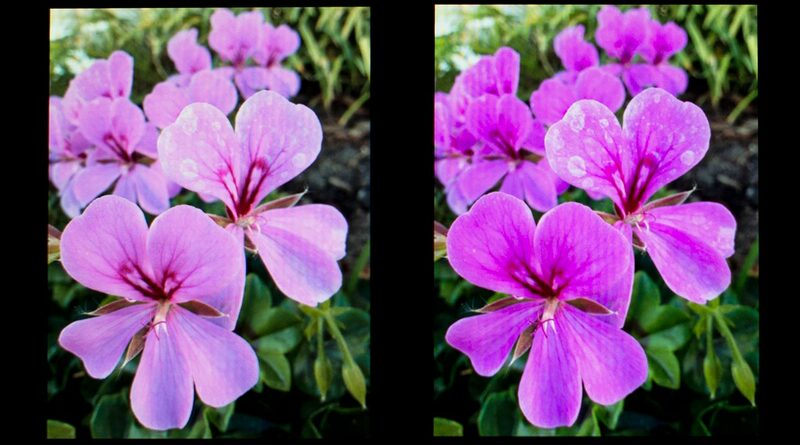 Colors get a boost, too, with color saturation that’s 44 percent greater than before. So with iPhone 5, the games you play, the words you read, the images you see, and the apps you love look and feel incredibly vivid and lifelike. So it's not that the iPhone 5 takes much better photos, it's that the iPhone 5 has a much better display. Here's a photo that shows the iPhone 4S display on the left and the iPhone 5 display on the right. 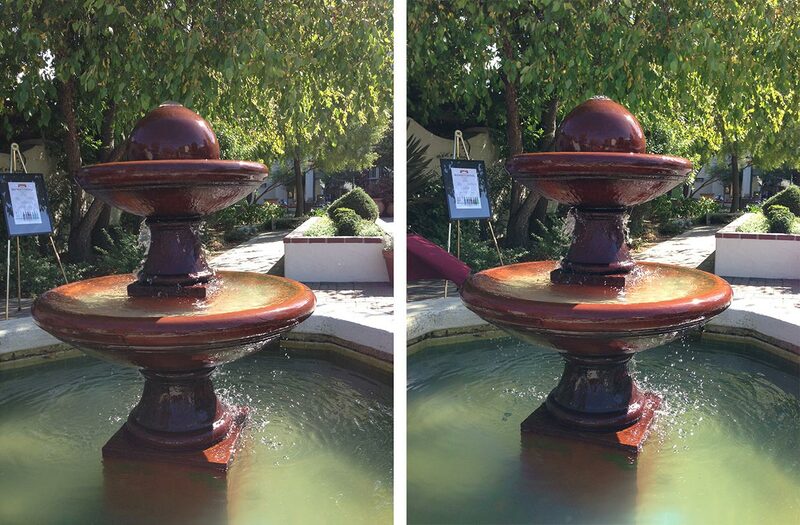 Now, let's finally take a look at some side-by-side comparisons of photos taken with the iPhone 4S and iPhone 5 cameras. 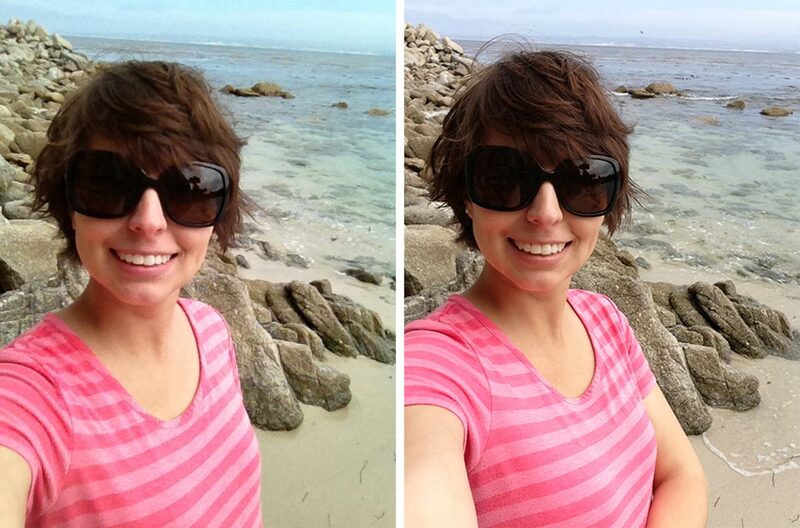 For each comparison, the photo on the left was taken with an iPhone 4S and the photo on the right was taken with an iPhone 5. 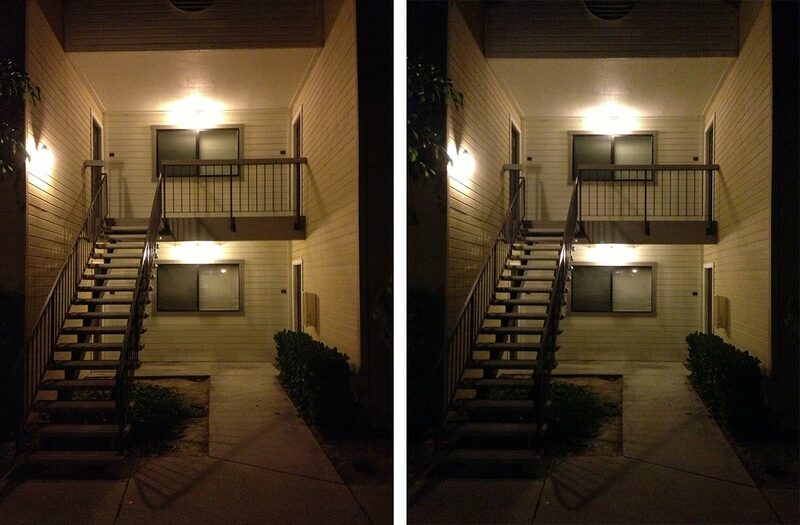 HDR was one of the areas that I was expecting some improvement since Apple claimed better HDR capability, but in the photos I took during my tests, like the one above, the differences were hardly noticeable. Something that really stands out to me with these low-light photos is that the iPhone 4S photos are much warmer. I tend to prefer warmer tones, but not in this case. 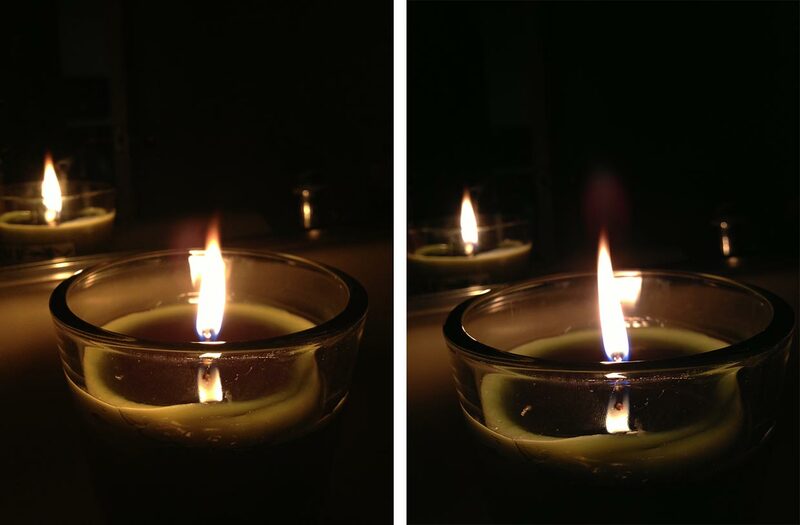 The iPhone 5 photos look more realistic to me, particularly with the candle. In the photo of the candle taken with the iPhone 4S, you can barely even tell that it's green, but the iPhone 5 shows that off very well. 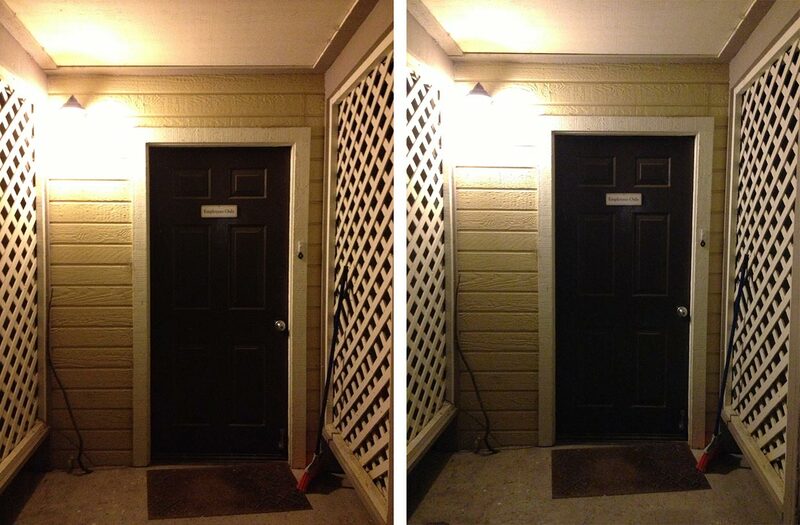 So it seems that the iPhone 5's camera does a better job at preserving colors in low-light scenarios. 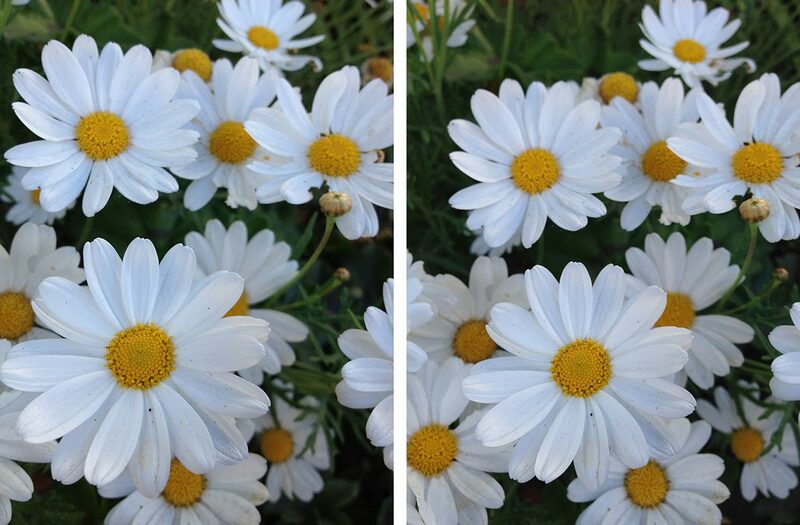 These next photos were taken with the front-facing cameras of the iPhone 4S and iPhone 5. It may be hard to tell in the smaller versions displayed above, but the quality of the iPhone 5's front-facing camera is actually much better than the iPhone 4S. You can also see the difference in the colors produced by the two cameras in the ocean and sky. 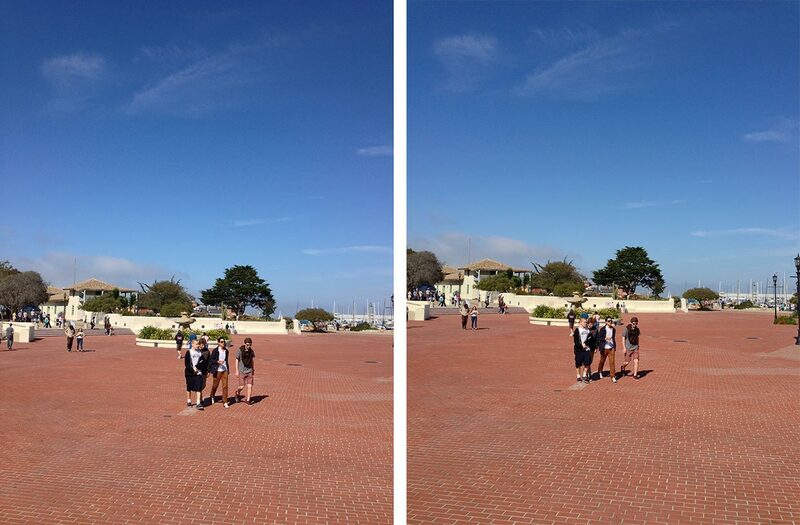 Now let's take a look at a couple panorama photos. This first one was taken with the iPhone 4S. And here's the iPhone 5's version of the same pano. 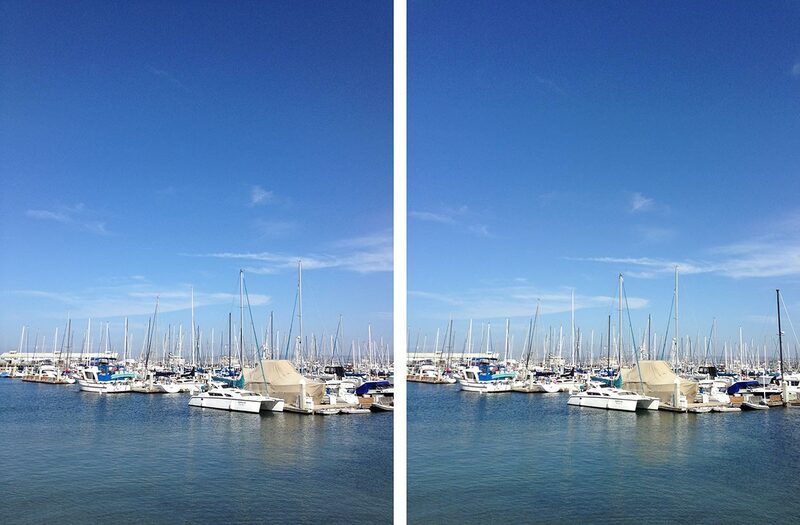 Lastly, here's one more panorama comparison. 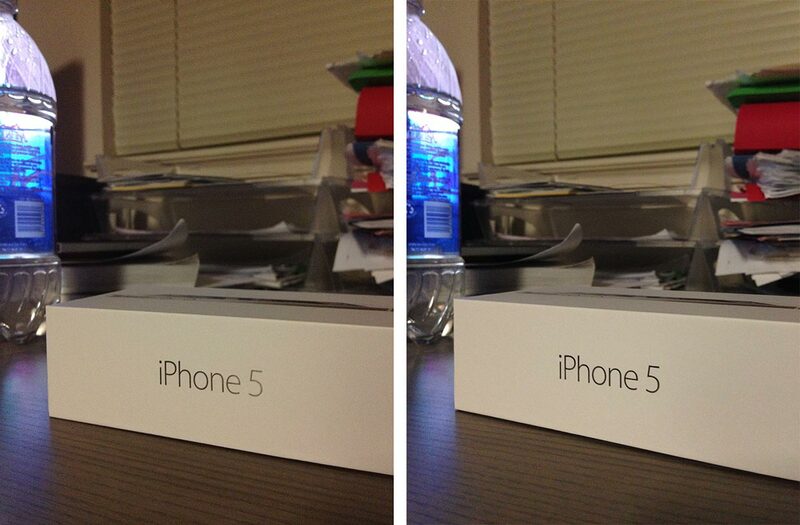 The first one was taken with an iPhone 4S and the second one was taken with an iPhone 5. In the photos above, you can see that the iPhone 4S camera did catch some lens flare, but I can't say for certain that the angle of the camera to the sun was exactly the same for each pano. So it's very possible that the flare is due to user error. 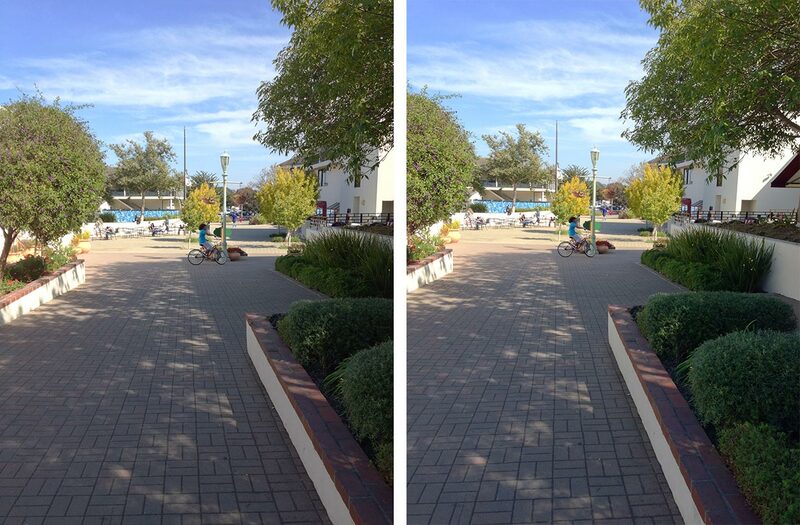 As you can see, there isn't that big of a difference between the cameras on the iPhone 4S and iPhone 5. 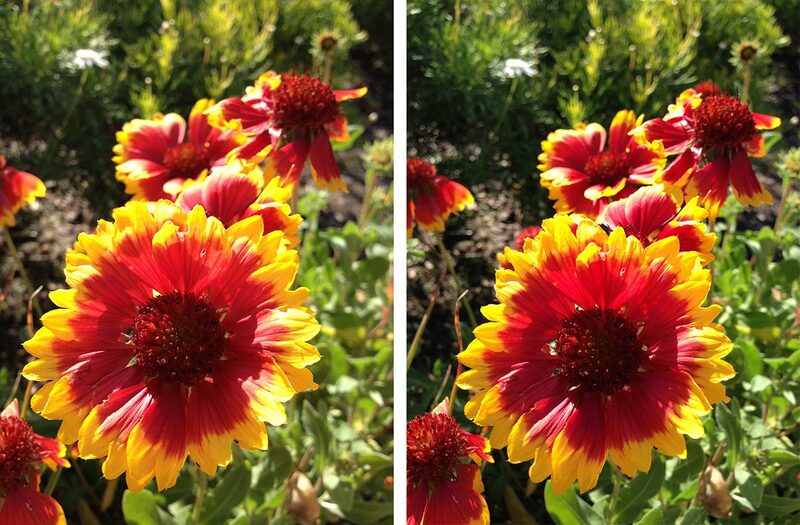 There is improvements to the iPhone 5's camera, but if you were wondering if you should upgrade because of the camera, the answer is definitely no. However, if you want a thinner phone that still takes great photos, if you want a better screen that gives a more accurate representation of your photos, if you want the ability to take photos while shooting video, then taken together, the answer could very well change to yes. In fact, if taking and enjoying photos with your iPhone is one of your primary passions -- if you consider yourself an "iPhoneographer" -- the display alone is worth the upgrade to the iPhone 5.